My doctor recommended D3-5000 for both myself and my husband. 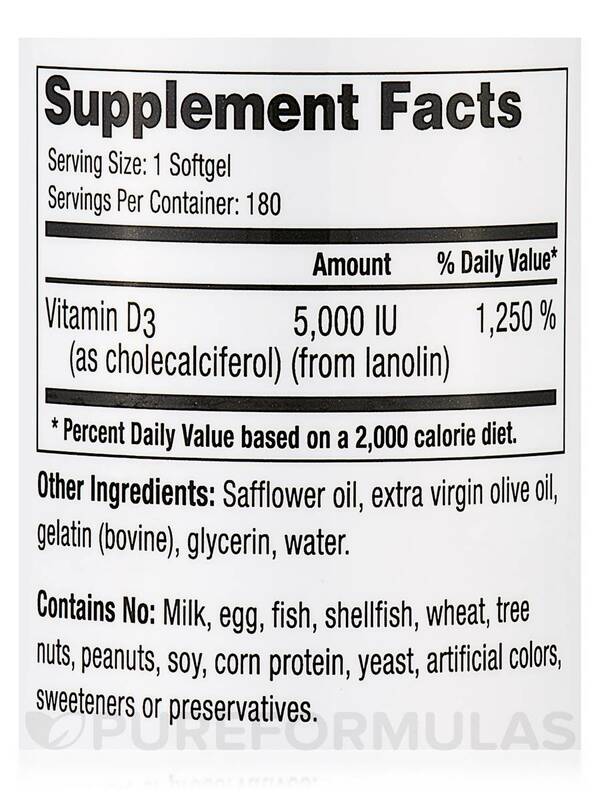 I especially like the fact that D3-5000 softgels are soy free. 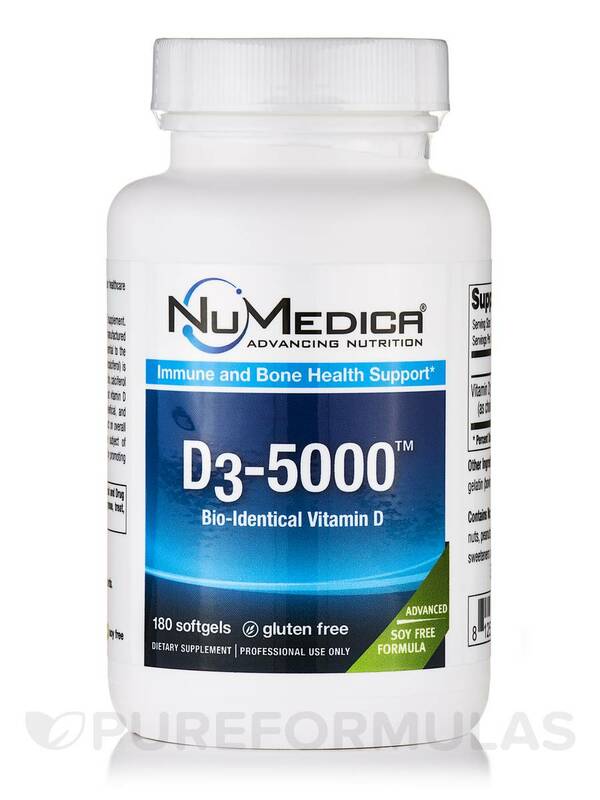 Vitamin D‚ considered both a hormone and a vitamin‚ is manufactured in response to skin's exposure to sunlight and is essential to the body’s absorption of calcium. 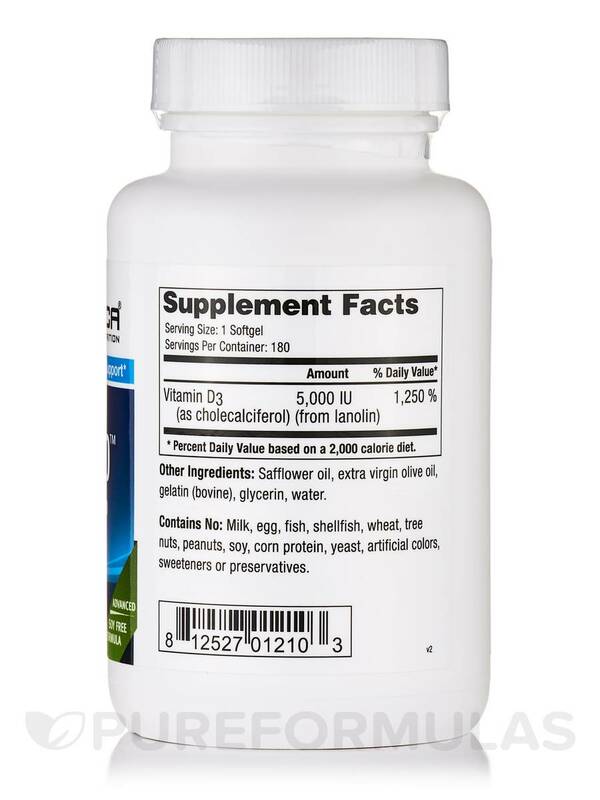 Natural vitamin D3 (cholecalciferol) is four times more potent than synthetic vitamin D2. In Latin‚ calciferol means "calcium carrier." 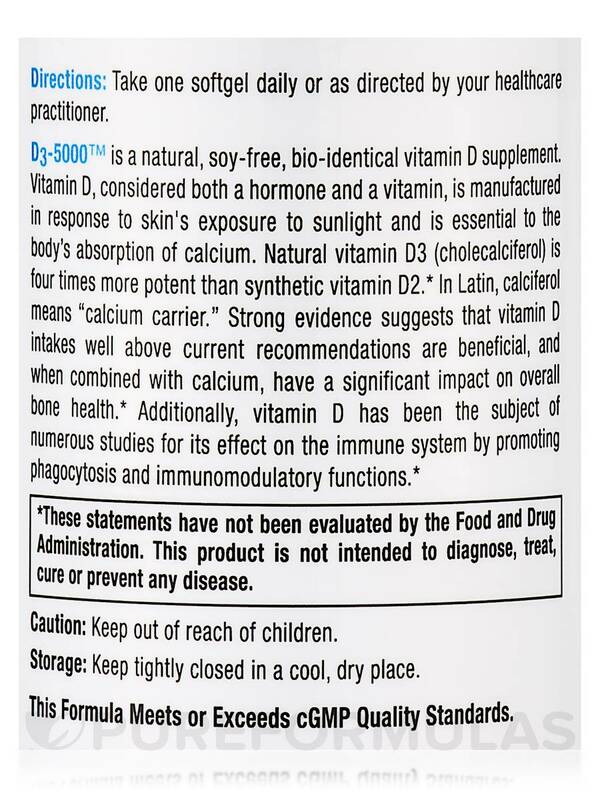 Strong evidence suggests that vitamin D intakes well above current recommendations are beneficial and when combined with calcium‚ have a significant impact on overall bone health. 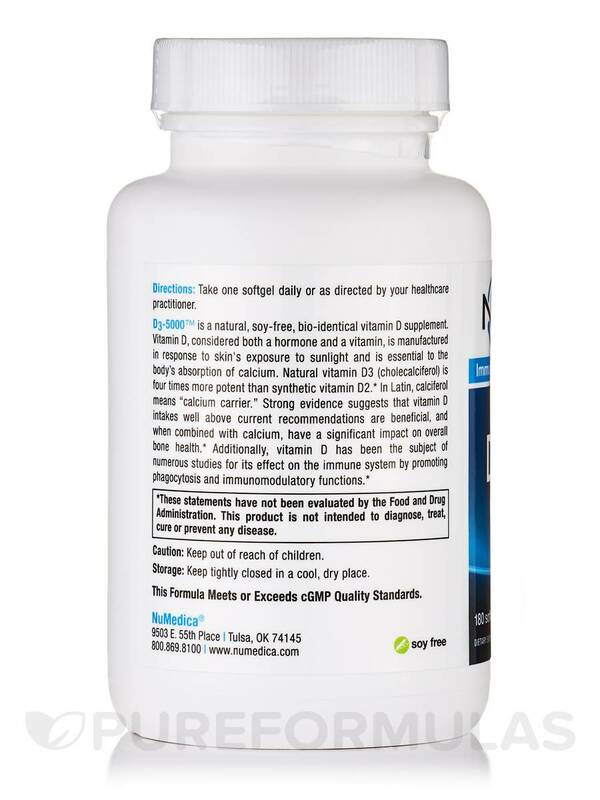 Additionally‚ vitamin D has been the subject of numerous studies for its effect on the immune system by promoting phagocytosis and immunomodulatory functions. Olive oil‚ gelatin‚ glycerin‚ water. Contains No: Wheat‚ gluten‚ soy‚ corn protein‚ yeast‚ dairy products‚ artificial colors‚ sweeteners or preservatives. Take 1 softgel daily or as directed by your practitioner. Best D3-5000 on the market.